The new energy efficiency requirements for additions & alterations means more info is needed on the architectural plans, the extra info required concerns the existing dwelling...window sizes, eave widths, floor size, wall type, roof type, floor type (IE; concrete, timber, etc) & any insulations. The current building code of Australia (BCA - Building Codes of Australia or NCC - National Construction Codes) 2015 version require alterations to an existing house to conform to the provisions of this version, therefore the previous requirements (using the provisions of the 2009 BCA) are no longer allowed. 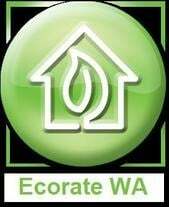 At Ecorate WA we have been using the new provisions for many residential (CLASS 1 & 10A) projects even before the 1st of May 2015 deadline, therefore, we get the cheapest & lowest cost compliance for your plans. Give us a call or email & see how much your building costs can be lowered.